Now open in Williamsburg! 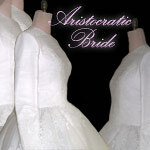 Aristocratice Bride now serves Brooklyn, Monsey, and Monroe areas with its entire selection of wedding attire the kallah and family. Complete new line of designer bridal gowns. (A great selection of affordable gowns for only $850 is also available.) Extensive collection of exquisite gowns for rent. Susan Rhudi - a former fitter at Kleinfeld - has joined us. Get more for your wedding! Don't forget to mention ChossonKallah.com when visiting Aristocratic Bride.